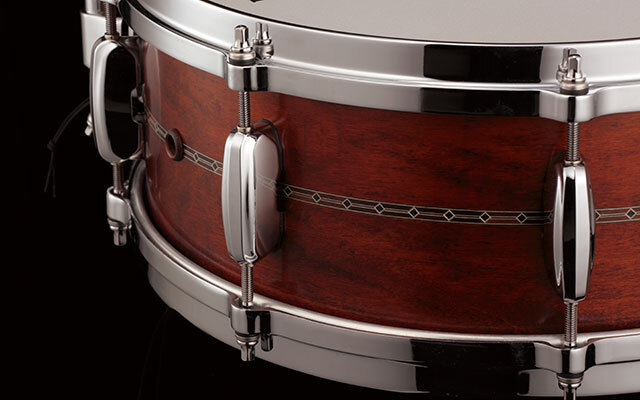 STAR's solid shell snare drums offer three characteristic shell materials, Maple, Mahogany and Zebrawood. Maple and Mahogany models realize not only soft and transparent voice but also light and comfortable response. 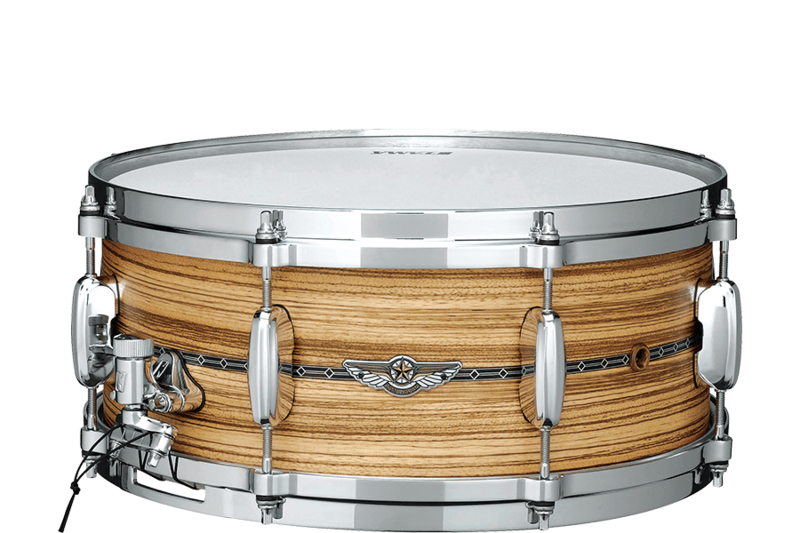 Zebrawood model offers an extra super dry sound and clear articulation in high frequency without losing warmer tone. 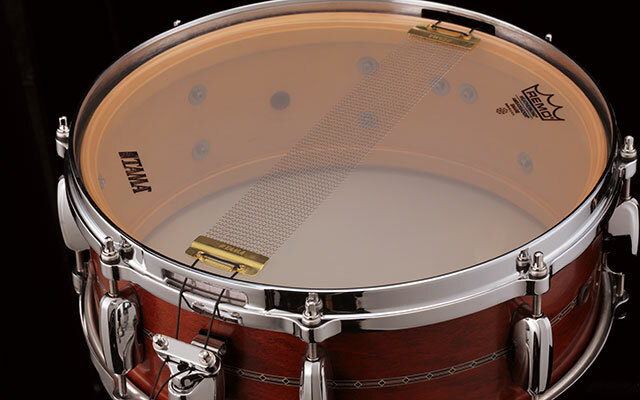 The shape of the snare beds is an important factor in any snare drum's sound. In particular, the sustain and sensitivity of the snare wires are heavily affected by the shape of the snare beds. 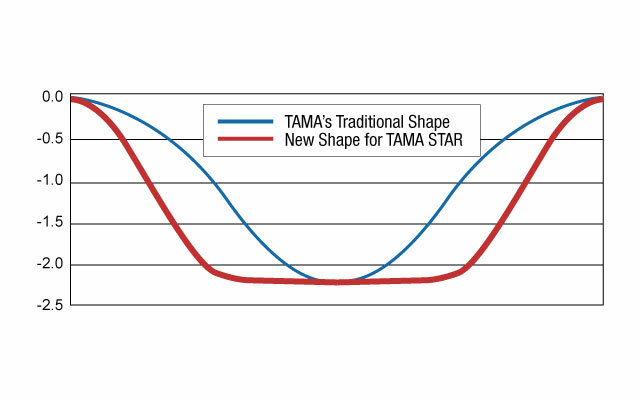 STAR snare drums employ a different snare bed than TAMA's traditional shape. The goal was to create snare drums that have the same rich resonance as the rest of the STAR drums, but that are also very crisp and articulate. 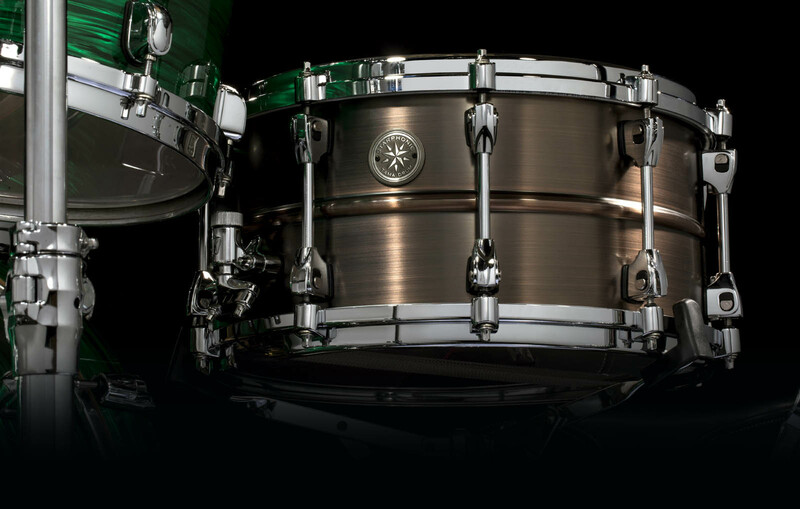 To achieve this, STAR snare drums have a flat bottom that provides even and consistent contact with each snare coil. 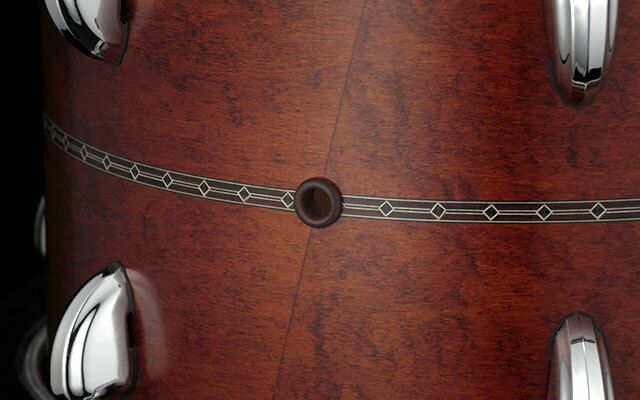 STAR snare drums have 3 air holes around the shell, instead of just 1 like on the tom toms, floor toms, and bass drums. These extra air holes lend a brighter, dryer sound to the snare drums and results in even projection in all directions. 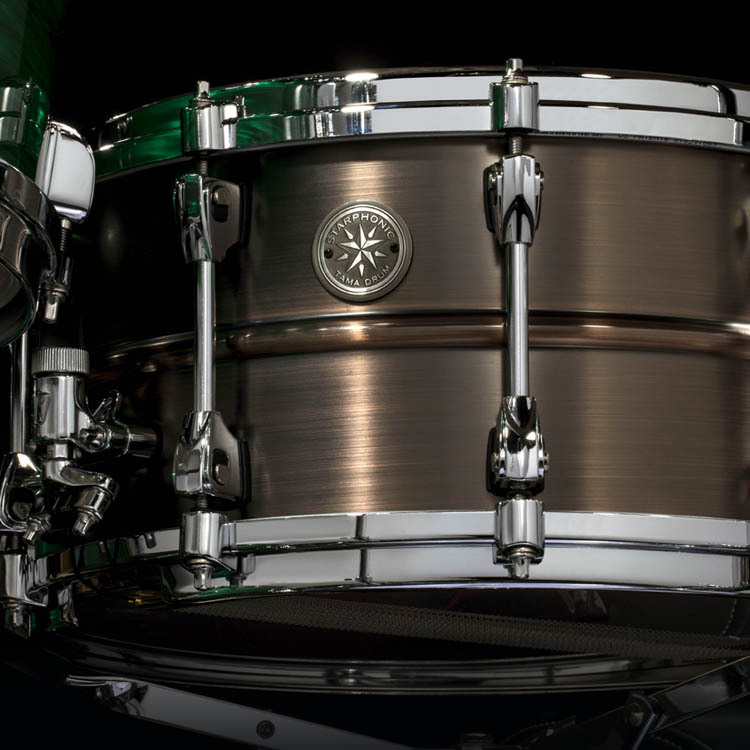 The Super Sensitive Hi-Carbon snappy snare features a specialized plate and winding pattern for the wire coils, and is made of hi-carbon steel. This results in a very crisp, sensitive snare sound on all STAR snare drums. The "Linear-Drive" strainer is designed for greater control of the lever adjustment arm and more precise control of the strainer's deployment motion. The strainer movement works in a true linear motion. Even if the strainer is engaged rapidly, you will not hear the typical "slap" of the snare wires hitting the bottom drumhead. To prevent the snare wires from loosening, this strainer also has a ratchet system on its tension adjustment mechanism. Single click adjustments offer a vertical pull of 0.083mm in wire motion, which allows for ultra-sensitive micro adjustments. 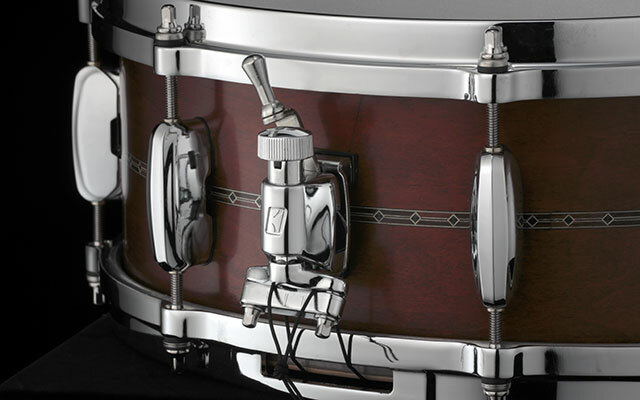 STAR snare drum lugs were designed with a clean look and bridge construction for minimum shell contact. They are just one piece to reduce the overall weight of the drum. In addition, both 13" and 14" diameter snare drums have just 8 lugs, instead of 10. This reduces the weight of the snare drum even further and offers in a more open, resonant tone.